On the surface, the geo-economic situation may look rather grim, admittedly. Many may remember the state of the Baltic Dry Index as it reached a record low back in 2008. Recent reports reveal that in 2015, its rates dropped even lower. Business Insider published the details on their website in January of 2015. The Baltic Dry Index just hit a 28-year low. 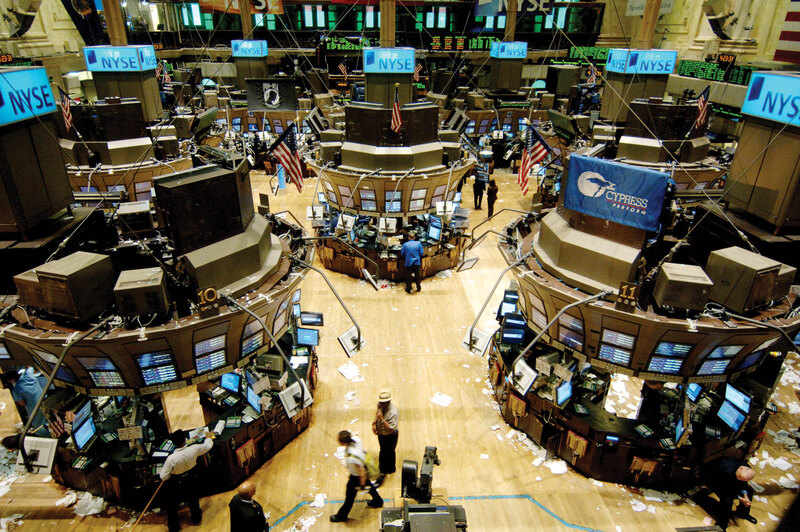 The index drew attention for mapping the financial crisis, going through the floor as the global economy tanked in 2008, but it just slumped to an even lower level. The index measures shipping costs for dry bulk commodities (minerals and metals like coal and iron, as well as grain and other food). It plunged by more than 90% in just a few months in 2008 as the global crisis unrolled. Then, it was an impressive bellwether for the global situation. 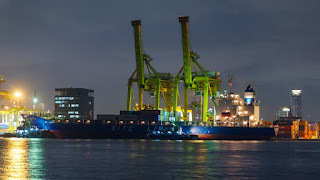 The article goes into further detail as to how this record low took place and its impact upon shipping as a whole, as well as its comparison to the Index levels of more recent years. As I understand it, this Dry Index is not projected by many to improve in the coming months of 2016. By itself, this may only seem like a chance occurrence, but as we look at this continuing trend, we may see otherwise. This economic slump can be seen in other areas as well. For example, on January 20, N-TV reported a loss of 6.7 billion to restructuring and job losses for Deutsche Bank in 2015. Here is the translation. The German bank has slipped even deeper than feared in the red. 2015 had accumulated after taxes due to high expenditure on litigation costs for the ongoing Group restructuring and job losses, a loss of about 6.7 billion euros, the German's largest bank announced a surprise with. Although experts had been expected because of the well-known announcement of write-downs in the investment banking and private client business, provisions for legal disputes and settlements with a big minus. But they had it a decline of slightly more than five billion euros on the list. "Unless a miracle happens, we will report a loss for 2015," co-chief John Cryan had already announced the end of October. To put this in perspective, Deutsche Bank's net worth was reported to be over 1 trillion in 2015. This means that this major, global financial hub had a total loss of nearly half of its net worth. This is no small occurrence. This greatly impacts the economy of the entirety of Europe, and reverberates throughout the West as a whole. Further signs of economic strife can be seen in the planned actions of Sweden's Riksbank in early 2016. Tyler Durden had this to say on the Zero Hedge website. Markets have started 2016 with a healthy dose of turmoil, and so many were wondering how long - and who - would be the first central bank to intervene in either directly or verbally in markets. Moments ago we got the answer when Sweden's Riksbank announced it has held an extraordinary monetary policy meeting in which it took the decision required to be able to "instantly intervene on the foreign exchange market if necessary, as a complementary monetary policy measure, to safeguard the rise in inflation." The decision involves the Executive Board entrusting to the Governor, together with the First Deputy Governor, the task of deciding the details with regard to possible interventions. 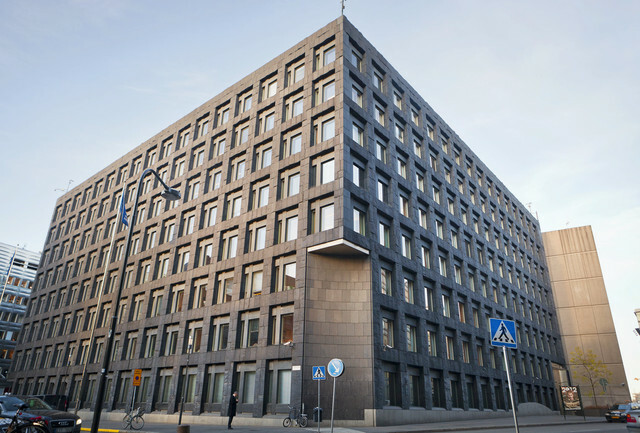 During 2015, the Riksbank has cut the repo rate to –0.35 per cent, adjusted the repo-rate path downwards and purchased large amounts of government bonds and also announced additional purchases during the first half of 2016. However, since the last monetary policy meeting in mid-December, the Swedish krona has appreciated against most other currencies. If this development were to continue, it could jeopardize the ongoing upturn in inflation. Considering the implication of these statements, one can see the larger picture of what is actually happening. 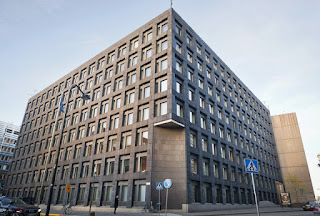 The act, by the foundational, central bank of Sweden, preparing to employ manipulative damage-control measures for the coming months doesn't exactly project an expectation of economic upturn. It would seem that Riksbank is in essence, preparing for further economic strife, and on top of this, intends to do so by potentially manipulating exchange rates to ensure the rate of inflation remains advantageous to the Swedish krona. If things were moving well economically for Riksbank, why would they be preparing to concoct such an illusion of economic success? The skeptical view one might take when viewing these occurrences is to say that economic downturns are common. The bubble rises and falls with the current economic climate. However the fact of the matter is that no financial system based upon debt is meant to last forever. The wealthy steadily become more and more so, due to ever increasing profits (which is typically due to manipulation), all from money that was created out of thin air. The poor of every country become more and more so, due to their inability to avoid creating debt in a system whose economic functionality is based solely upon this debt. Inequality steadily increases as more and more money is created out of thin air, and is then funneled into the pockets of the wealthy. The world can only exchange money with imaginary value for so long before someone gets tired of playing the game. It seems that in recent times, the world is getting closer and closer to that stage. Some might call this situation grim. Personally, I have a different view. A system base upon debt can only last for so long before it collapses in on itself. However this collapse may only be seen as negative for those who stand to loose the most; those being the central banks who so irresponsibly manipulate the system through the fractional reserve model. I propose that we, the common people, have the most to gain. Imagine for a moment waking up one day to find all of your debt completely erased. Granted, one's investments may be gone with that debt, but think about the opportunity for reform such an occurrence might bring. If the current system all-of-a-sudden vanished, we would have a thousand different questions running through our minds at once. “What will we do? How will we feed ourselves? How will I live? What do I do with my time?” These would all be questions to answer for ourselves, yes, but I would like us to consider something. Our current financial system is based upon a fantasy. The money we have in our pocket has no real value. It's just paper. The “money” we have in our bank account is nothing more than bits on a hard drive. It is nothing more than 0's and 1's with no actual value. If one day, we all woke up and these were gone, what would we really lose? Nothing. The world would not end. We would all still be here, we would all still have our skills and interests, and we would all have goods to exchange. The only thing we would need at that point would be a new, more reliable, and less manipulable method for exchanging goods. 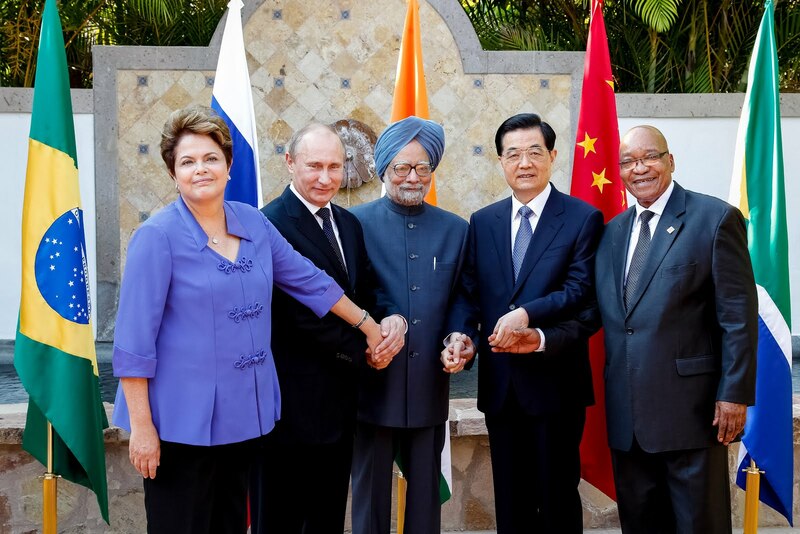 Enter, the BRICS Alliance. It is an under-reported subject among Western, corporate media, but the fact is that the BRICS Alliance, a financial alliance which began with Brazil, Russia, India, China, and South Africa, is here to stay, and seems to show much more promise than the fractional reserve model ever did. This new BRICS system is based upon equity as apposed to debt. It is regulated by strict standards of equality and transparency, and ensures that no single country holds hegemony over the markets by the manipulation of currencies. Here is an article from The BRICS Post website with a few details on the AIIB, the Chinese sector of the Alliance. Chinese President Xi Jinping on Saturday attended the opening ceremony of the Asian Infrastructure Investment Bank (AIIB) in Beijing. “This is a historical moment,” Xi said. “The demand for infrastructure development in Asia is enormous. Institutions for infrastructure investment, old or new, have much to offer each other, and may well work together through joint financing, knowledge sharing and capacity building. They may engage each other in benign competition, learn from and reinforce each other, and move forward in tandem,” Xi reiterated on Saturday. Xi also announced that in addition to subscribing capital to the new lender, China will contribute $50 million to a soon-to-be-launched special fund “to support the preparation for infrastructure development projects in less developed member states”. There is a clear demonstration of partnership and combined effort for the betterment of multiple nations in the rhetoric of Xi Jinping. This is contrary to the overwhelmingly vicious competition seen in the Western central banking system. Instead of attempting to dominate the market, the AIIB seems to be more focused on the broad-spectrum development and prosperity of multiple nations. Time will tell as to the long-term results of this type of teamwork, but one thing is for sure. Banks such as the AIIB are becoming more and more popular, as many nations are becoming fed up with the consistent fallibility the fractional reserve model has been proven to have. Though this article demonstrates the steadily growing success of only one of the many BRICS-alligned countries at this point, bare in mind that there are many more. These countries have halted trading in U.S. petro-dollars and are now exchanging in Chinese yuan instead, which forecasts an imminent ending to the age-long hegemony of the Western Central banking system. You can read about this development and more on The BRICS Post website, as well as the reason why it can be beneficial to We, the People. The recent, steady devaluation of the central banking system has shown the world just how quickly a game of monopoly can end. When you have a system of money based upon nothing but faith, all it takes is significant doubt within that system to completely topple it. This seems to be the case in recent times. The world and its people need a reliable system of exchange that is based upon value and not debt. This value is what the BRICS model of banking is hopeful of accomplishing. With all of this in mind, there is one question that remains... How long will it take for the Western, corporate media to do a complete and honest report on the BRICS Alliance?